Some facts and myths to help you with your renovation decision. How this great product can save your home from rain water entry. 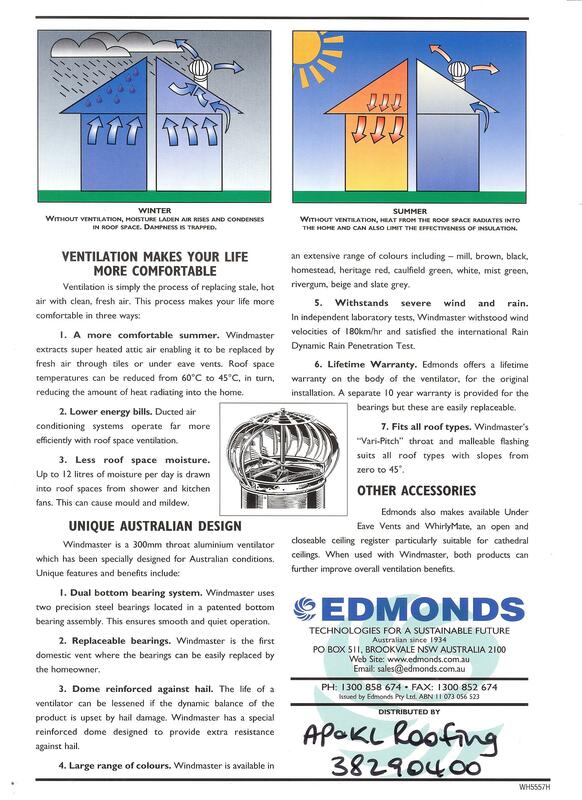 We use and recommend Edmonds Windmaster roof vents. We use and recommend the Shieldcoat range of paint products for your roof. Remember that we can achieve ANY custom colour though. These paints are heat reflective, and guaranteed to be so for 10 years! Some feedback snippets that we have received without request or prompting from clients.